The answer to that question depends on your particular set of circumstances. Each individual is different, and every situation requires certain analysis. But in the end, which chapter of Missouri bankruptcy you file should not only make sense for you in your current situation, it should also take into account the long-term consequences as well. To begin with, there are two main chapters of bankruptcy that an individual (or married couple) can file: St. Louis Chapter 7, and St. Louis Chapter 13. A Missouri Chapter 7 is described as a ‘straight discharge’ of unsecured debts. Things like credit cards, medical bills, and payday loans are knocked out immediately. You may keep assets like a house or a car, so long as there isn’t a great deal of equity in them (and yes, if you want to keep these items, you’ll have to continue making the regular monthly payments). From the time you file, to the time you receive the discharge, is about three or months (which is pretty quick in the legal world). Chapter 13 bankruptcy is a very useful tool as well. Most people believe that if they have to file a 13, that they have somehow lost out (as if they have missed their chance at a 7, and now they are stuck with the other chapter of bankruptcy). A Chapter 13 is described as a repayment plan over the course of three to five years, in which certain debts are paid back. During this repayment period, debts such as mortgage arrearage, car loans, tax debt, and back child support are paid in full. In addition, it is also possible to get rid of your unsecured debts in a 13 as well. One of the other attractive components of a Chapter 13 is that it allows you to stop things like a home foreclosure or car repossession. In the event that such a thing is imminent, the filing of a Chapter 13 gives you a chance to put into place a plan in which you repay the debt, and spread it out over a period of time to make it more manageable. 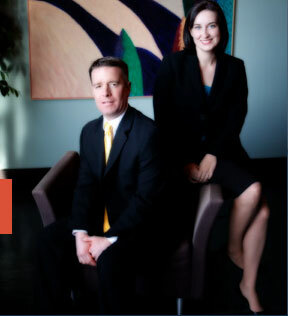 The affordable St. Louis bankruptcy attorneys at Brinkman & Alter, LLC have been making sure that all our clients receive the best advice possible so that they may get best outcome from their bankruptcy filing. Our goal is to get you on the road to financial freedom, and ensure that you receive the fresh start / clean slate that you deserve.